True Fans Occupy the Warfield for SUM 41's 15th Anniversary of "Does This Look Infected?" Nothing builds excitement for a rock show like a tell-tale white spectral front of house sheet to build excitement for the magic onstage. 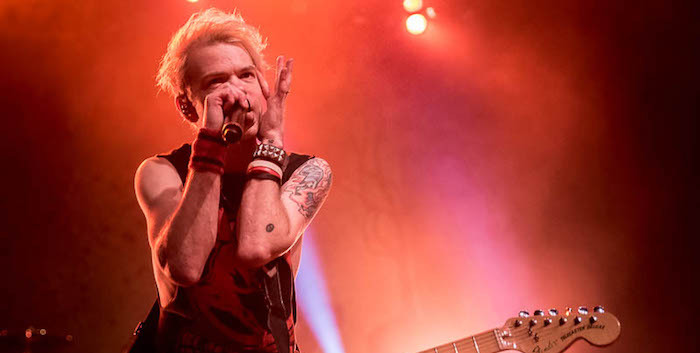 San Francisco’s Warfield had the pleasure of hosting Sum 41’s first date of their twenty-something day tour to celebrate the 15-year anniversary of their infamous Does This Look Infected? album. Also featured on this tour is Pop Punk genre super stars, Seaway, as well as new comer and label mate Super Whatevr (Costa Mesa, CA). The album prior to Infected of course, is one no one could forget; the iconic All Killer No Filler (2000) which featured their biggest hit to date, “Fat Lip”. In fact, the running joke goes that if “Fat Lip” is the only song you know, there’s no way you could be a true fan. I disagree, as “Fat “ has truly stood the test of time and is always a staple in their set list. One that everyone sings along to. 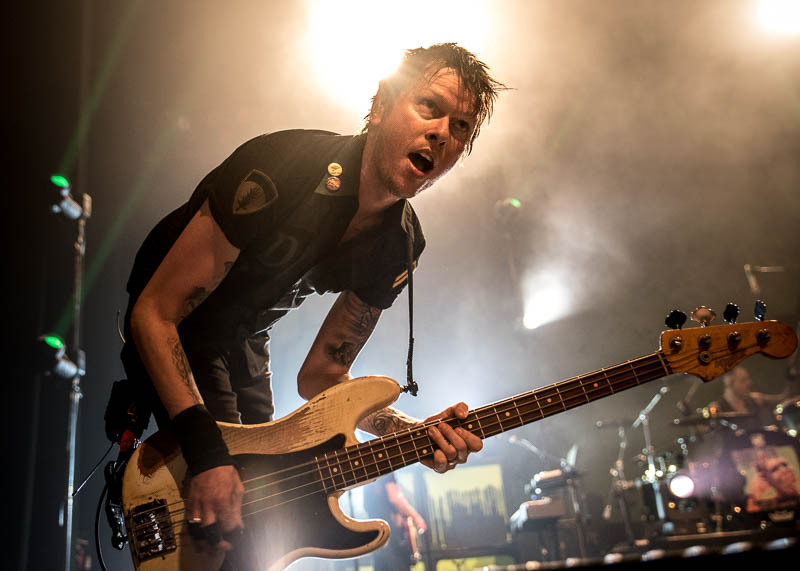 Most of the original line up is on stage behind main guy Deryck Whibley for this tour; the not so secret metalhead Dave Baksh (lead guitar) returning after a nine year hiatus, Jason McCaslin (bass), and Thom Thacker (lead and rhythm guitars). 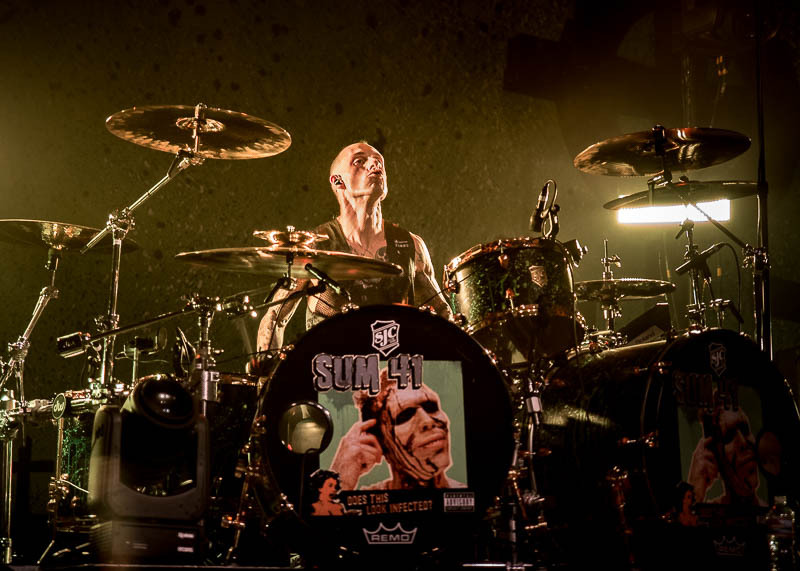 The only newish face was Frank Zummo, who was nominated “Best Drummer” in 2017 by The Alternative Press Music Awards, following his involvement with the recording of SUM 41’s 13 Voices. It’s no doubt that with this lineup, every show on their tour promises to be phenomenal. 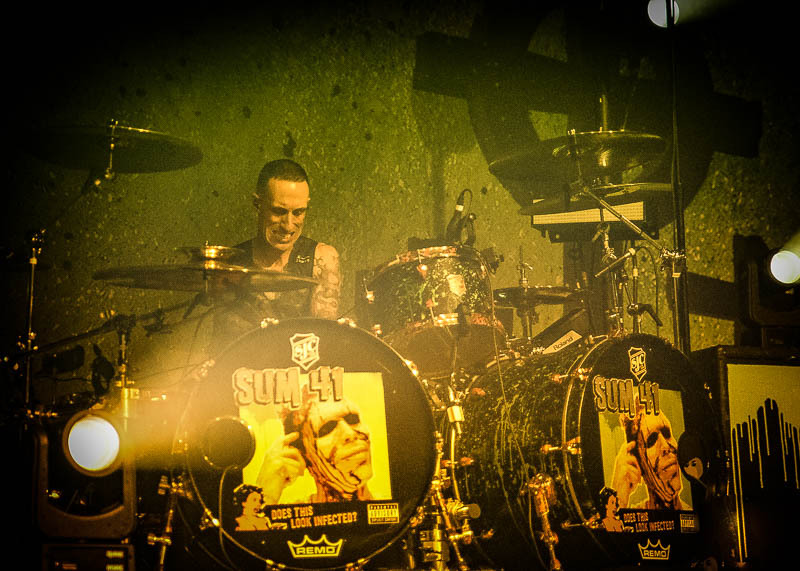 Zummo’s drum rhythm and agility is amongst the best heard by these ears. His Linkin Park medley solo, in tribute to the late great Chester Bennington, left the audience with their jaws to the floor. The sheet fell and multi colored streamers and air cannons shot out over the crowd. SUM 41 took the stage with an aggressive fever, an occasional joke, and the usual killer pop punk vocal style. 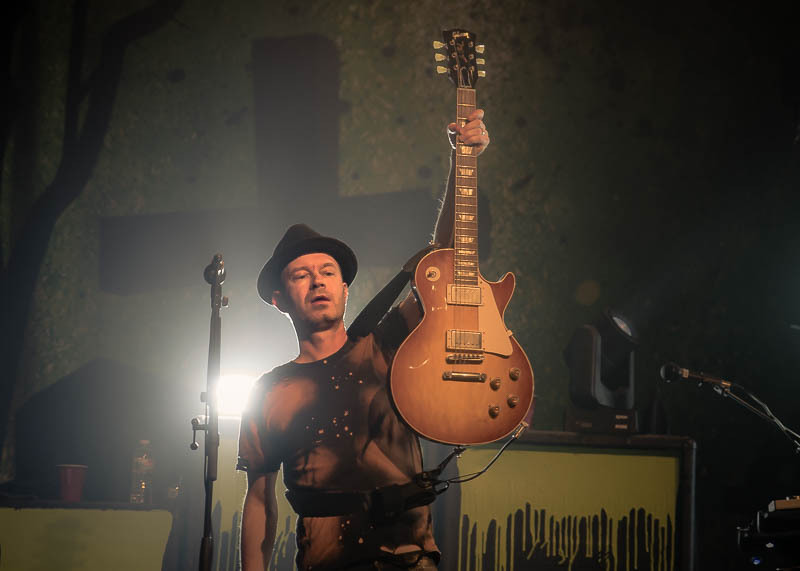 Despite Whibley’s past struggles with alcohol abuse and subsequent disability, he still brings a ton of excitement to the stage. It’s as if he was made for this. Whibley spent a good portion of 2014 dragging himself out of a near death experience following months of hospitalization due to alcohol induced heart and liver failure. 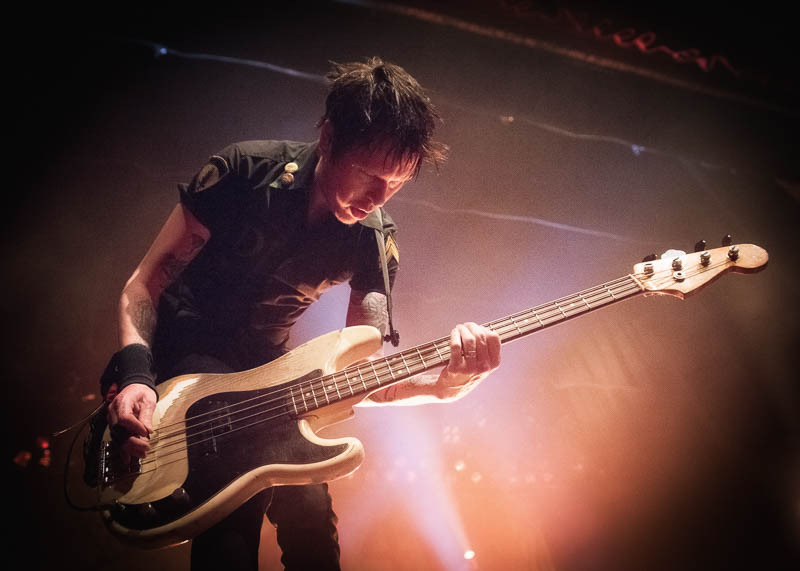 While in rehab, Whibley wrote a good portion of the album 13 Voices (2016), featuring a track called “Fake My Own Death,” which is reportedly about Whibley’s struggle to learn how to walk and play guitar again after his hospital stay. 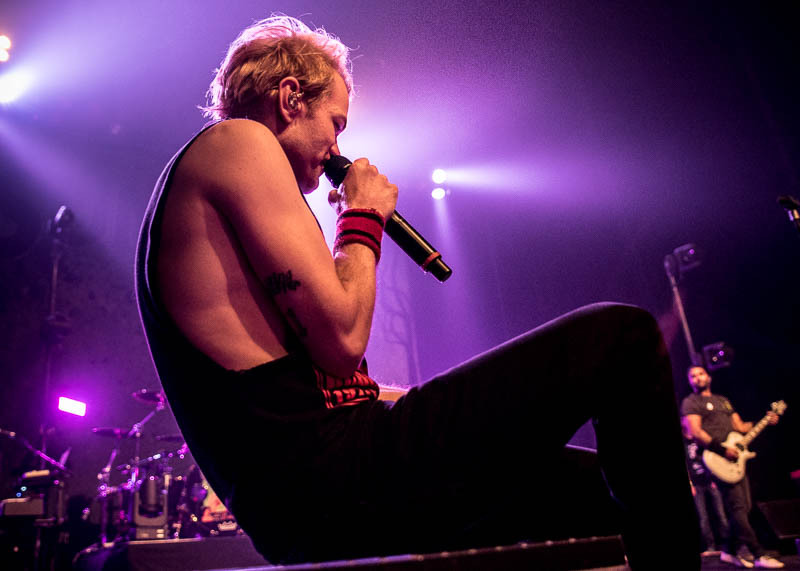 Whibley cites writing this alternative metal album as his inspiration to keep fighting his impairment. Apparently SUM 41 was in the middle of recording a new album, when it was brought to Whibley’s attention that they were coming up on the 15th anniversary of Does This Look Infected? I think his exact words mid-show were “We were in the middle of recording, when word came about the anniversary of Infected, so we hit the road to play for you motherfuckers, because that’s all we want to do is play live!” SUM’s set followed the complete anniversary album almost to the song, with a few medley surprises thrown in for good measure. 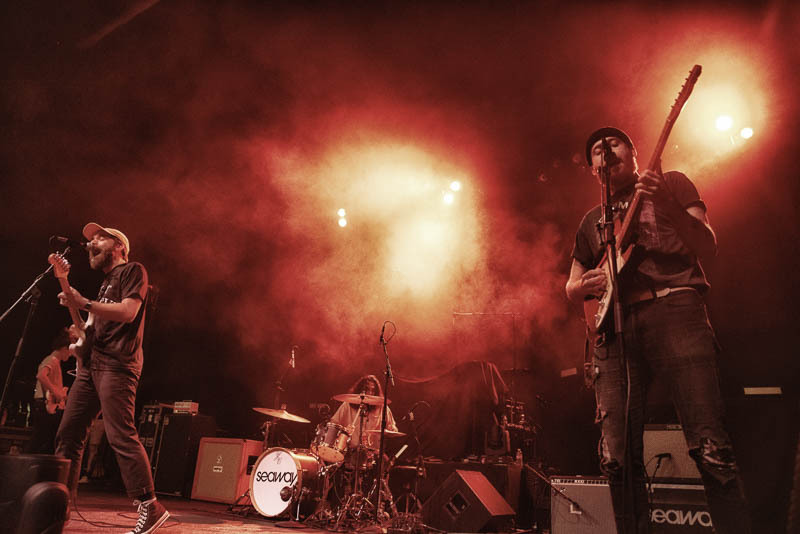 Taking the stage directly prior to SUM 41 was another Canadian born melodic pop punk band, Seaway, formed in 2011. 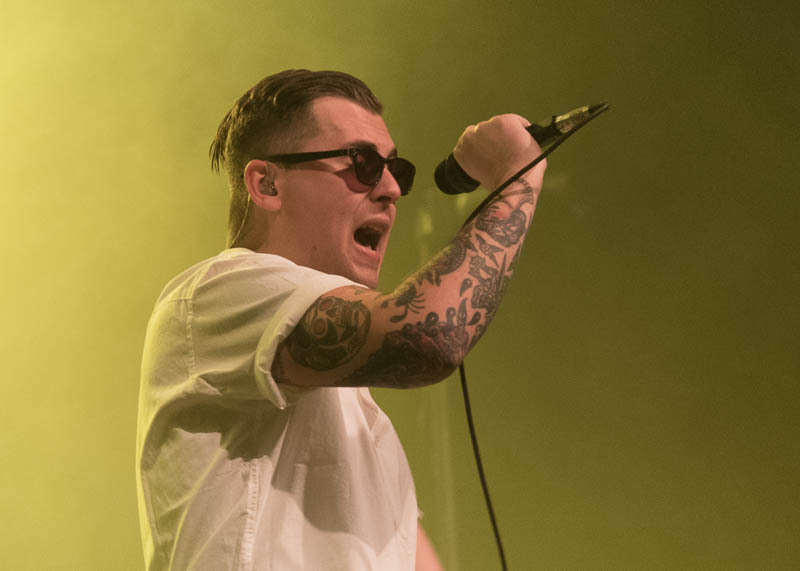 Although Seaway was welcomed to the pop punk world a bit later than most, they’ve grabbed the torch in exceptional form, with three successful albums under their belt, a Van’s Warped tour, and several supporting world-wide tours. Opening the show was newcomer Super Whatevr, who has built up quite an impressive following in the short period of time they’ve been touring. 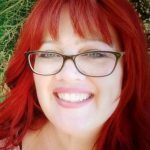 With Skylar McKee’s poetry-laden sad-with-a-positive-tone song writing, they are already establishing themselves as an alternative music force not to be taken too darkly. 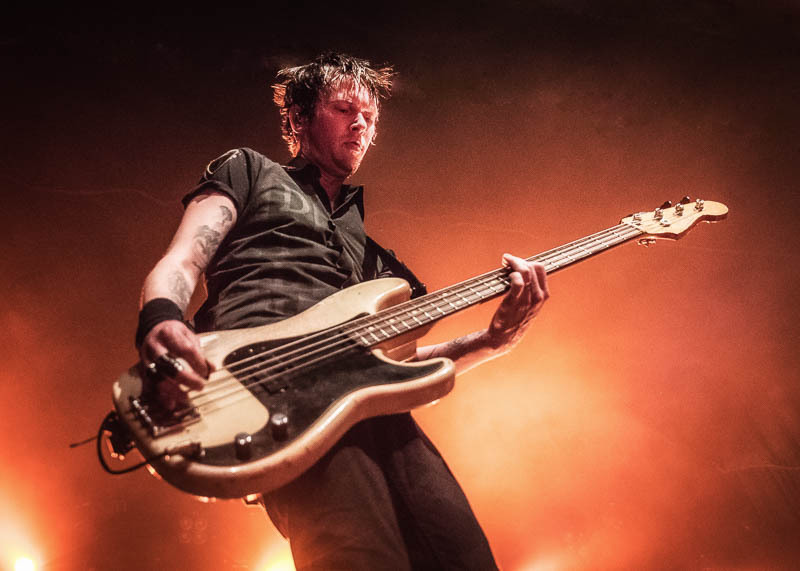 Find out more about SUM 41 here. 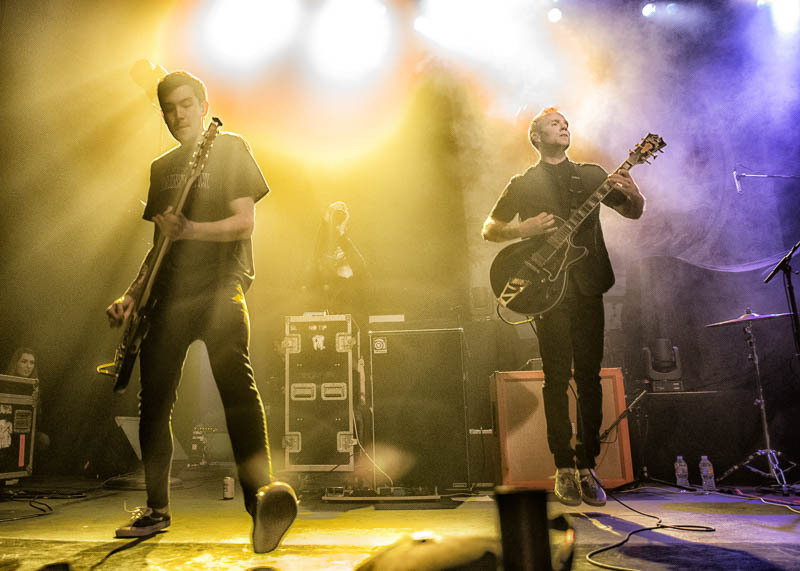 Check out Seaway on their website. Everything you want to know about Super Whatevr can be found here.